The UNE-EN 1504.2 standard entitled “Products and systems for the protection and repair of concrete structure” is the European approval certificate which defines the identification, performance (including durability aspects), safety and assessment of conformity for products and systems designed for concrete surface protection, with the purpose of increasing the durability of concrete and reinforced concrete structures, in both new concrete constructions and maintenance and repair work. Recently our 100% solid resin for very damp surfaces PRIMER WET has successfully passed all the tests conducted by the TECNALIA laboratories, obtaining the EN 1504-2:2005 (principle 1.2 protection against penetration). The results of these tests and a copy of the certification are available on request from our technical department. 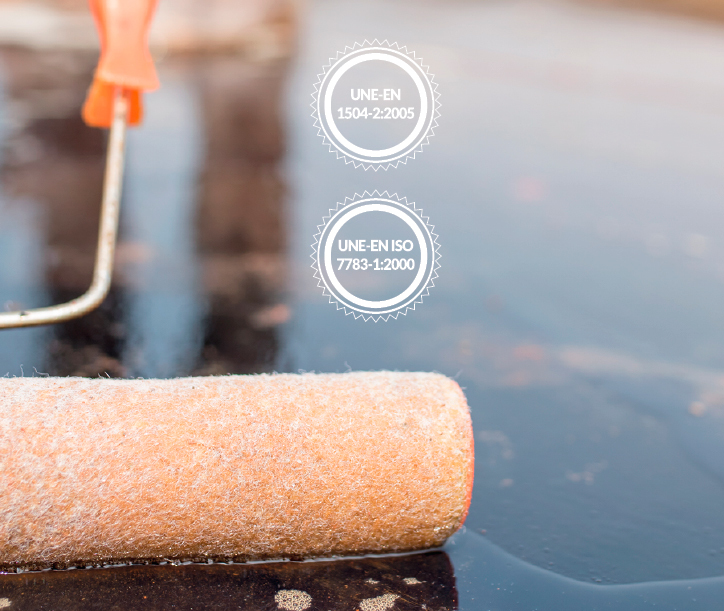 PRIMER WET is an epoxy resin without solvents, of low viscosity, applicable in one coat. It is especially designed to increase the adherence of our waterproofing systems based on continuous membranes, TECNOCOAT P-2049, pure polyurea membrane, and DESMOPOL, polyurethane membrane, on concrete or mortar surfaces with high residual moisture of up to 98%. In conjunction with the above certification, the tests and trials required under the UNE-EN ISO 7783-1:2000 standard were performed by the TECNALIA laboratories, under the title “Determination of the water vapour transmission rate according to the dish method for small films.”, obtaining the highest results (45.57 SD(m) ± 2,74) for a Class II certification, very close to Class III, impermeable to water vapour.